On the one side it's a mobile phone, and on the other, an mp3 player. We used Beyonce's doppelganger to help us demonstrate this form factor of the phone. 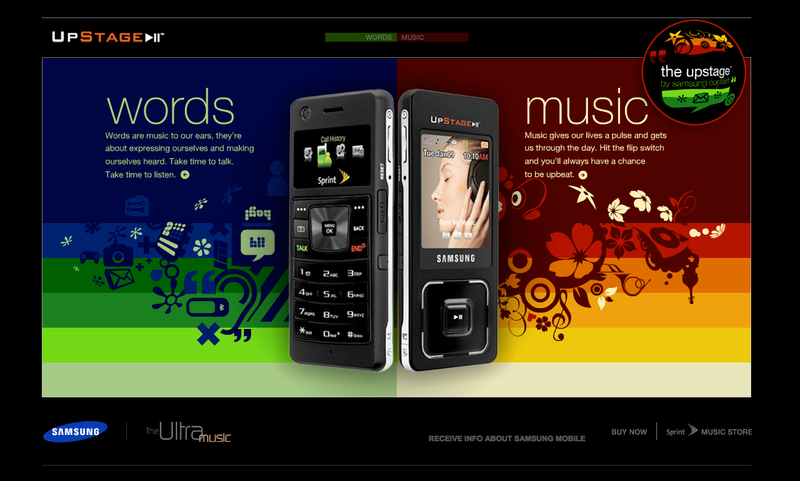 We also figured the best way to get people talking about the UpStage by Samsung was to get them lip-syncing about it. Se we created a user-generated contest on YouTube, which recorded over 5.4 million views on the first day.